How many kids rebel against their parents by playing violin? Mishna Wolff did. Her dad wanted her to play the saxophone: tenor sax, ideally, but alto would do. The “classical” instruments, like violin, were more for white girls. Mishna was, and still is, 100% white. So is her father. With source material like Mishna’s, it’s no surprise that she became a successful author and stand-up comic! But that doesn’t mean it’s been an easy road. It takes guts to put yourself out there, whether you’re holding a violin or a microphone. And while there may be some people whose natural habitat is in the spotlight, most people (including Mishna) would rather hang out somewhere else. In fact, she reminded me in a recent conversation that you don’t have to be a “natural performer” in order to perform like a pro. But you do have to work at it. Here’s what Mishna had to say about how violinists usually prepare for performance… and why that leaves them unprepared. My wife Akiko and I recently wandered into a tiny comedy club here in LA. Luckily, a show was just about to begin. We were ushered to the very front of the room, and that’s when we realized that we were part of a “select” crowd, to put it politely! There were about fifteen people there, and that was it. Our silence sucked up the faint murmur from the adjacent bar. I found myself fidgeting as I would before playing a violin audition. We’re almost on stage ourselves! I felt the cold metal of the microphone in my hand, my eyes watering from the glare of the spotlight. I tell her that I feel the same about performing on the violin, especially auditioning. So what can we do about it? Kind of like that time Joshua Bell played Bach in the Washington, D.C. subway? Hmm, playing on the street might be the only way I could log as many solo performance hours as Josh! I mention that the standard advice for violinists preparing for an audition is to play a “mock audition” in front of friends and colleagues. Mishna thinks that’s too comfortable, not to mention inadequate. We’re going to find ways around that, don’t worry! Mishna laughs when I tell her that violinists spend 99% of their practice time alone. “For comics there is no practice without an audience there,” she says. I’ve spent most of my professional life ignoring my “other” self. He’s the one who chimes in with all sorts of unhelpful criticism at the worst possible times, and I discovered him way back in the summer of 1997. But for Mishna, embracing her second persona is what enables her to perform in the first place. I recall my first professional audition in Philadelphia, and my assumption that I was ready once I’d decided how I wanted to play each of my excerpts. Somehow they sounded different in the actual audition! So you have to get to know your twin? As we continue talking about the act of performing, I understand that comics look at practice and performance as part of the same collaborative process. As violinists, we see performing as a test. If our preparation was “good enough”, we pass. Otherwise we fail. But the audience has very little to do with it, other than to make us nervous. I tell her that in my best performances, I do feel that connection with the audience. But more often I retreat to a safer space so that I can manage the various things I’m being tested on. If you’re being watched, and you can’t hide, isn’t that a recipe for getting even more nervous? And what about those situations, like screened auditions or recordings, where you can’t see your listeners? Mishna agrees that those would be tough for a comic. She recalls having to record the audiobook version of I’m Down, alone in a studio, and how artificial it felt. But eventually she realized there was still an audience she needed to reach, whether or not they were in the room with her. I tell Mishna that one of the biggest barriers for violinists in performance is that crushing weight of expectations. We tell ourselves that other people have played this music better than we can, or that the audience is expecting perfection. So we micro-manage every last nuance in order to satisfy our listeners. That sounds like a great mindset for even the shortest excerpts we play, since they should all have a “story arc” to them. That’s a far cry from the common feeling of hoping that you’re good enough to pass the test! I ask whether Mishna would take that same attitude in front of a competition jury or audition committee. I’m reminded of a conversation I had with Gil Shaham once, where he said that even if the worst thing should happen to him on stage, everyone would still make it home. He’s not a surgeon, after all! Mishna says, “Bombing avoidance is not a very sound place to come from. The whole attitude you brought up earlier: ‘I need to know the material so well that I can get to the gig and forget it and be fine’, it just doesn’t work. There’s always going to be a certain amount of adrenaline and performance nerves, and I’ve had to work through it by failing a lot, by taking those risks in front of an audience. It’s normal to be nervous about performing, perhaps even scared! Performing is a skill that doesn’t follow automatically from practicing. If you want to be a better performer, you have to do it more…a lot more. Your performance persona may be different from your everyday persona. Whenever you play, in practice or performance, connect with listeners. In performance, commit to the big picture (“your moment”) and let go of the tiny details. Even if the worst should happen, it’s part of the creative process. So how can you put this into action right now? The first thing to do is to set a performance goal today. Maybe you already have a concert date that you’re practicing for, or an audition. If so, skip to the next paragraph! If not, think about a piece you’ve worked on recently, then imagine who might enjoy hearing you play it. Do you belong to a church or club where people perform, even informally? Do you have any relatives in a hospital or nursing home? Do you have children in school where they welcome guest performers? Does your local coffee shop have “open mic night?” Pick a piece, pick an occasion, and set the date. Then, during your “alone time” with the violin, follow the advice I give in my free guide, 8 Practice Mistakes to Avoid. There I show you specifically how to make your practicing more like performing. It’s a sure way to get better at both! Practice visualizing the performance itself, and how you will “take your moment”. At this point you’ll already have a better understanding than most people of just how you’re going to connect with your listeners. So remember that they’re “paying to watch you breathe” and visualize just how that will feel. Finally, when the performance arrives, remind yourself how lucky you are to speak the language that your listeners love to hear! They’re going to be with you from start to finish, so enjoy the energy they bring. Another day, it will be your turn to be part of the crowd and to energize the stage. But today, they’ve come to see you. Take your moment. Mishna Wolff is a writer, speaker, and comic. 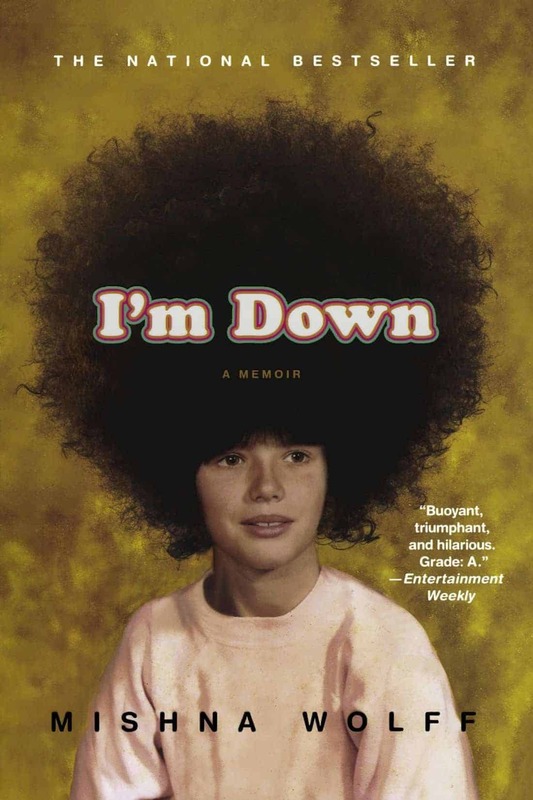 Her memoir, I’m Down, is available in print, on Kindle, and as an audiobook. Brilliantly drawn parallels! It really points out the fallacious nature of typical pedagogy. We spend hour upon hour with our noses in the sheet music followed by a few tentative, frightened or even dreaded moments in the limelight. It’s a recipe for disaster, and for learning how to hate the instrument you once loved. This is why I also love good Suzuki instruction; it immediately gets players thinking on their feet and out from the relative safety of the music stand. And it does so on a regular basis. I’m going to interpret Mishna’s suggestion perhaps a bit more literally than you. Call it busking with a non-monetary purpose: find a shady street corner, take out your fiddle and see what happens! I do appreciate my Suzuki training for that! I wish that I had kept performing as frequently once I got to my teen years. Great article, great blog, and great YouTube channel. I’ve written about my violin busking experiences in San Francisco here: https://stevetjoa.com/busking/. There, you can also find my busking log. Sometimes I wonder if the benefits of busking actually translate to the concert stage. Sports psychologists and coaches will often say that if you want to run fast, you should practice running fast. If you want to swim fast, you should practice swimming fast. It doesn’t help, as much as athletes would like to believe, to run or swim with heavy resistance, e.g. weighted vests, etc., at least when preparing for the game/match/meet itself. The concert stage is like running fast, and busking is like running slow, and I’m not yet convinced that the learned benefits of one translate to the other. Or at a minimum, one is not a *substitute* for the other. On the concert stage, everyone listens to you from start to finish. They can hear your pianissimo. The temperature is perfect. You are held to a higher standard. When busking, the opposite is true for all of the above. Thank you for your insights. Please keep it coming. Thanks Steve! I know what you mean about practicing to run fast. I might call the advice in this article a step in the right direction. If we can’t totally recreate the performance situation, at least we can get closer than we might, and much more often! At least you can start to learn how you react under pressure, so that one performance informs the next. All the best and hope to see or play together with you at the Phil soon! Great to hear you’re spreading the word in the brass world! Thanks Ryan. One of the first things I did when I started facing my performance fear was that I signed up to play at the local farmers market. Just me and a violin, playing Suzuki books 3 and 4 music, with a porta-potty in the background. I was nervous the whole first hour. Then I noticed people putting money in my case. I made $100 in singles that day! Plus I learned, and have since forgotten, that it’s not about me. Thanks for the great post Nathan! Great story Shirie! That line “it’s not about me” is funny and true. We’re ultimately there for our listeners, and hopefully we can get fulfillment from that as well! Some of the best and deepest advice and analysis of performance nerves that I have ever seen. Thank you, Nathan. I will pass this along to a lot of people. There is so much good stuff in this article. I love ‘Mishna, they pay to watch you breathe!’ – that’s definitely a new way of looking at auditioners. 😉 Thank you Nathan. Sharing this. Thanks for leaving ever something interesting; really one of best practic is the to “create” a similar environment of the performances but it is important that “funny & easy” element. Otherwise it can be worse; it can become like a nightmare to living the future and arriving that day with the nerves broken. I think that the physical aspect, should be very important too; adrenaline it must be controlled and it’s very important going out this mental setting through a good basic yoga. This is an other aspect to living the performance, maybe more scientific. Yes, you don’t want to “learn” to be terrified either! I’m curious about your hesitation to perform on the street. Before I met my wife or had anything better to do, I used to go play at Pike Place all the time in Seattle. I think it’s an easy way to practice performing, as most people are just passing by and if you mess up, nobody cares! On the other hand, when people stop or go out of their way to listen to you, you know you’re doing something right. And you always get at least enough tips for a free lunch! One thing that did surprise me is that I imagined people would enjoy faster, more energetic music in an environment like Pike Place. Not so much. The slow movements of Wieniawski 2 or Symphonie Espagnole would often bring people from a block or two away to listen! All good points, and that’s certainly the spirit that Mishna was trying to get at! I think that for most people trained as classical performers, we hesitate because we’ve learned that performance is something to be approached with such reverence… even bordering on dread. It has to be handled “just right” or it’s worthless. Performing on the street, or similar, flies in the face of all that. Which is, of course, why it’s so valuable. But it still takes courage to do!